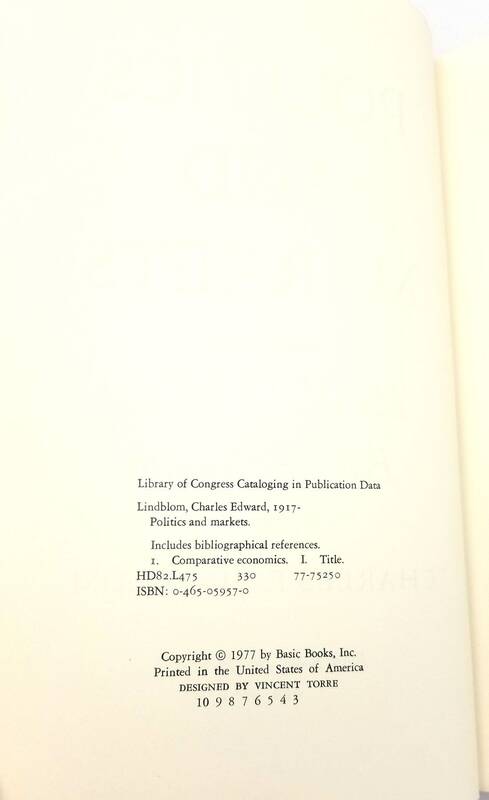 Description: Book is very lightly worn at extremities. No marks. Binding is sound. 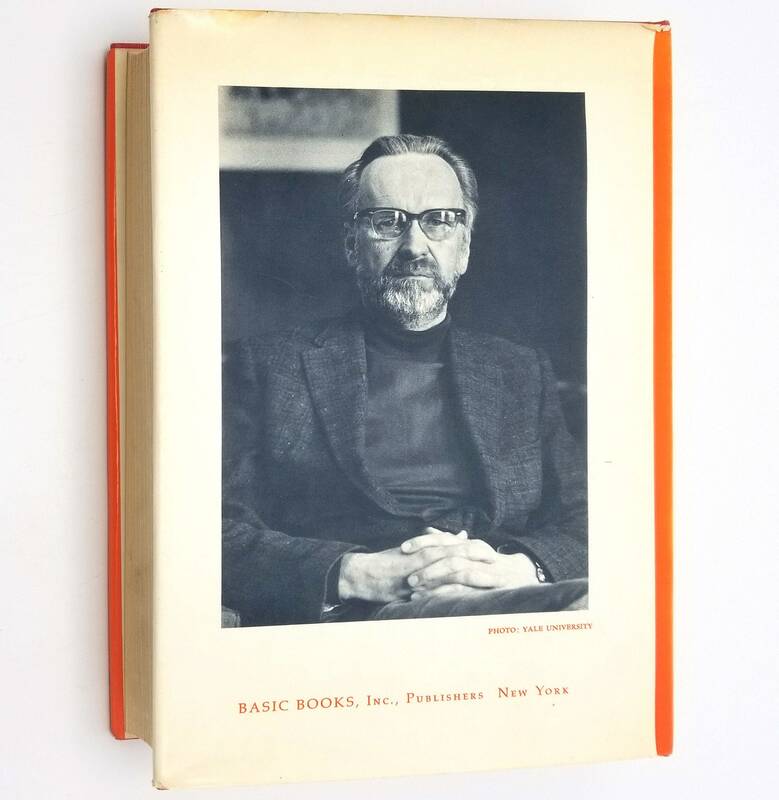 Dust jacket has fading to spine; a little bumping to head and tail of spine. Light shelf wear to edges; dj not price clipped. Awarded the American Political Science Association's Woodrow Wilson Foundation Award in 1978 and its Benjamin E. Lippincott Award in 1995. 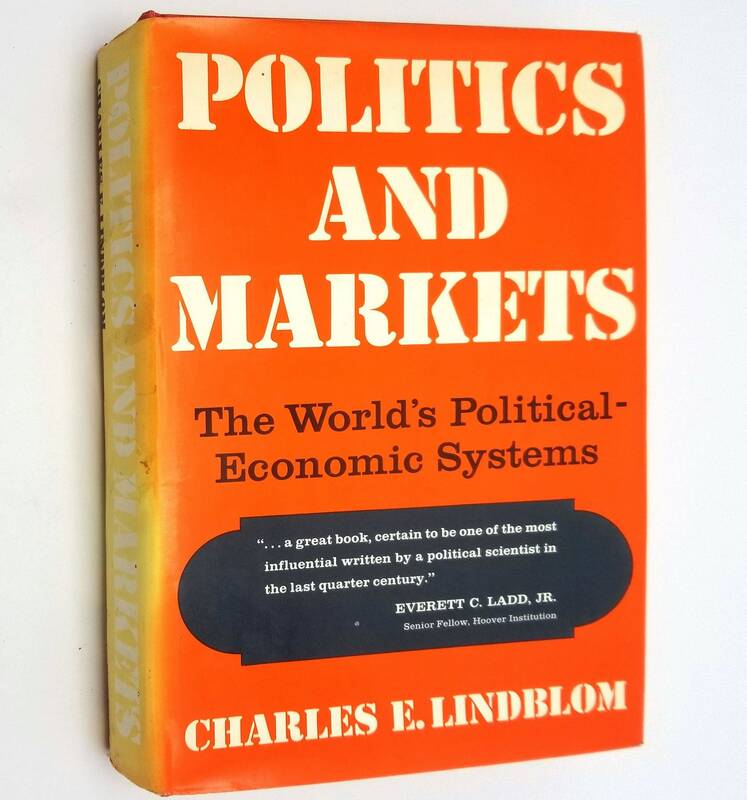 "Lindblom understands that the biggest difference between one regime and another is the degree to which market replaces government or government replaces market." 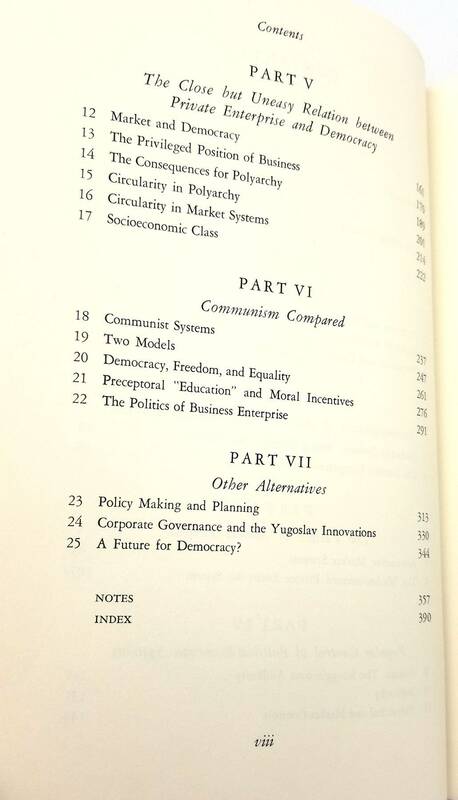 The author examines political and economic system:, democracy, polyarchy, socialism, communism, and capitalism. 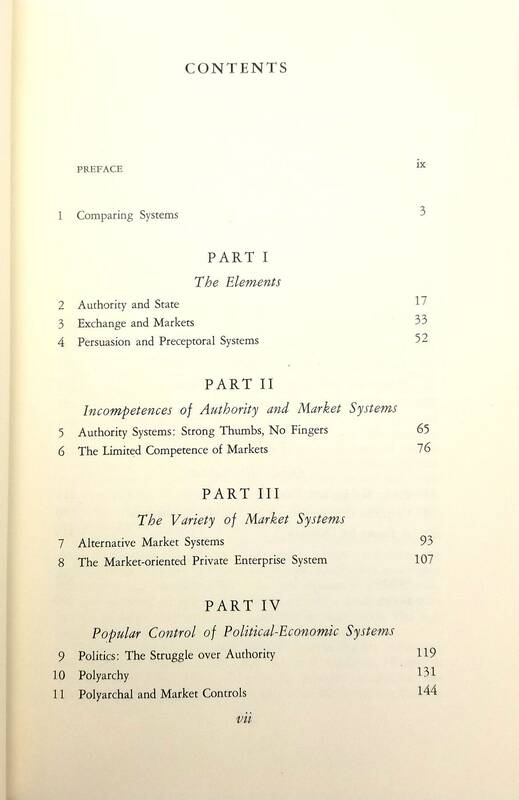 It asks and answers the questions such as "do 'free' markets really foster democracy and liberty and, if so, why are market regimes sometimes so coercive as governments? 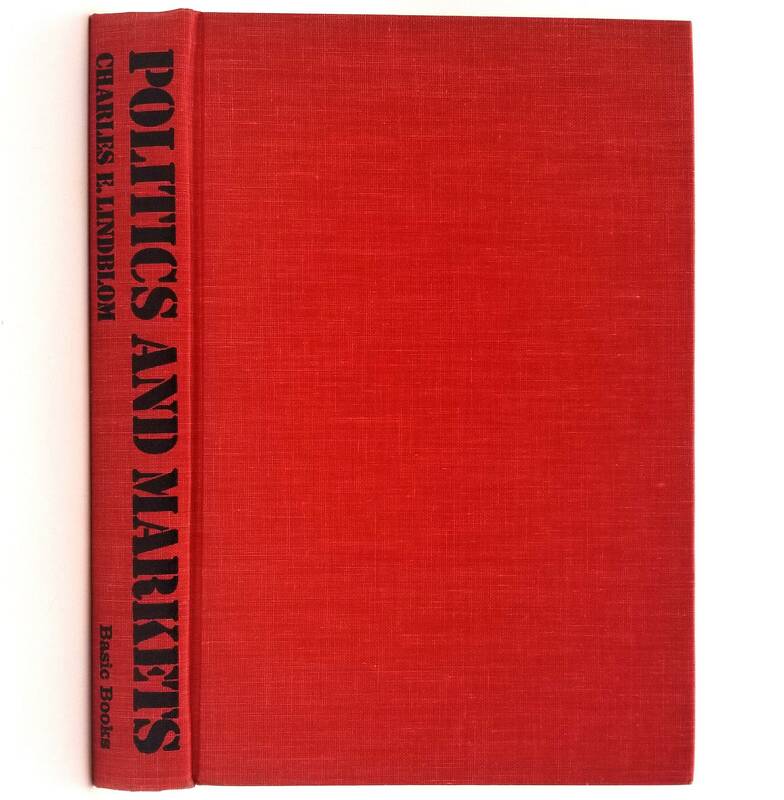 If, as Lindblom believes, the dominant role of business in most Western democracies poses a threat to democratic institutions, how can market regimes guard against such dominance? Why, contrary to the claims of apologists for government authority (in the West as well as in Communist regimes), have governments proved inferior to markets as coordinators of economic activity?"